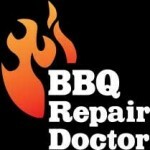 BBQ cleaning in Ojai, CA - Make your BBQ grill look new again! We do professional BBQ cleaning in Ojai! Our work is very thorough and gives you great results! We can make you old, rusty, food stained grill look brand new and sparkling clean. We use natural, non-toxic, biodegradable cleaning agents. Those agents are highly effective but also completely safe for the environment. Our services are fast, affordable and thorough. But most importantly you will love the result that we will give you. We can give your BBQ grill second life! Not everybody has the time to keep their barbecue grills in perfect shape. The dirt and grime often gather in hard to reach places. Sometimes you will not even notice what is happening, but you will see that your grilling performance suffers a lot. The grill may not keep the right temperature. The burners may not light up, and the food might have a strange aftertaste. Those are just some of the sight that you grill needs a professional tune-up and cleaning. We are the go-to company when it comes to BBQ cleaning in Ojai. We will take your grill apart and disinfect it, clean it and make it shine. Then we will put it back together so that it works and looks just like new! For BBQ cleaning in Ojai give us a call at 818.392.8666. We will schedule a convenient appointment for you. We will give you our free over the phone estimate. Before long our tech will be on his way to your house. He will start by taking apart your grill and soaking it in a special non-toxic cleaning agent. This will remove all dirt, rust, food particles, etc. from every part of your grill. Our company does BBQ cleaning in Ojai. 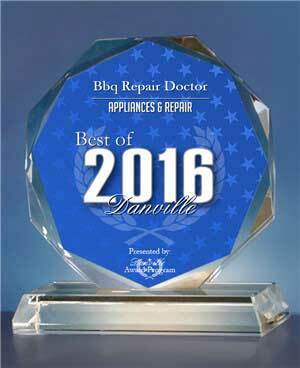 We are a company with long history of providing an excellent BBQ repair, BBQ restoration, and BBQ cleaning services. Our technicians are all factory trained and certified. Our customer service is one of the best once around. We always use natural and environmentally safe cleaning agents that are very effective as well. Our experienced techs work fast and are detail oriented. They will do a great job for you and you, will be surprised at how your old rusty grill can look so new and shiny. For BBQ cleaning in Ojai, please call us at 818.392.8666. Or fill out our short online form. We serve Los Angeles, Ojai, East Bay, Santa Clara County, Contra Costa County, and Alameda County. 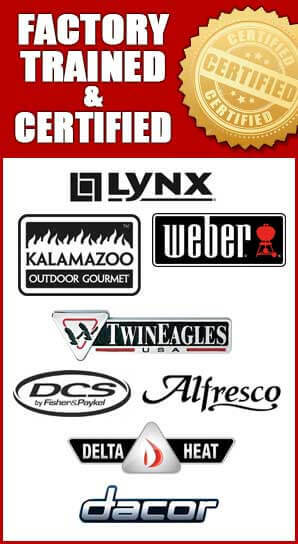 We would love to help you with any problems you might have with your BBQ grill. 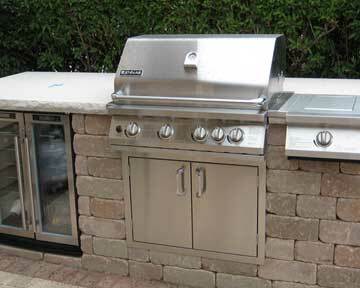 Whether you need a professional BBQ cleaning in Ojai or BBQ repair in Ojai, we can help.